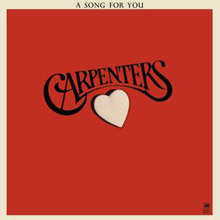 The Carpenters were always different. In a world of glitter, glam, prog, rock and myriad styles of music they followed their own musical mantra, one where harmony, love of the old songs and melody reigned supreme. Yet theirs was no bland pop, not formulaic nor predictable, they produced some of the most inventive pop during their 14-year career. The Carpenters recorded 11 albums, released thirty-one singles, and toured the world with drummer and vocalist Karen beguiling audiences with her beautiful voice and Richard wowing the public with his keyboard skills and arranging abilities. It all came to an end in 1983 when Karen tragically died from cardiac arrest brought on by her anorexia nervosa. Any band that can cover The Beatles, as they did on Ticket to Ride, and say something new is worthy of attention – and at the same time produce an inspired cover of Klaatu’s ‘Calling Occupants of Interplanetary Craft’, that can be found on Passage, are way more than just a singles band. Shove your prejudices where they can’t be found and wallow in one of the greatest female voices ever to grace a record, coupled with a man who had a wonderful ear for a hit and the ability to make everything he did just a little bit different. Born in New Haven, Connecticut (Richard in1946, and Karen in 1950), both children loved music throughout their childhood and teenage years, although Richard’s interest went way deeper than his sister’s. In 1963 the whole family moved to Los Angeles and when Richard enrolled at California State College at Long Beach he met John Bettis who would become his songwriting partner. Meanwhile Karen – in high school – began playing the drums, and not just averagely; she showed real talent for her chosen instrument. Richard started a trio and worked with bass player Joe Osborn who also had his own independent record label. One day in 1966 while auditioning for a trumpet player Karen was tagging along with her big brother and ended up singing a song or two that convinced Osborn to sign her to his label. She recorded two of Richard’s songs but they did not sell well. Demo tapes were sent out, Richard and Karen briefly had a band they called Spectrum and finally in 1969 Herb Alpert – the A in A & M Records – signed the band, attracted by their unique sound. 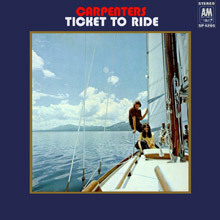 Working in the studio with no real direction the Carpenters produced their debut album, Offering, which included their cover of, ‘Ticket to Ride’. The Beatles song became a minor hit on the Billboard chart and the album was retitled and reissued as Ticket To Ride. It is one of the most underrated debut albums by a major artist, in any genre of music, including as it does a great version of Buffalo Springfield’s ‘Nowadays Clancy Can’t Even Sing’. 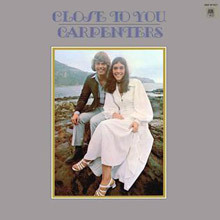 In 1970, the Carpenters version of the Burt Bacharach song ‘(They Long to Be) Close to You’ made No. 1 in America in July and stayed on top of the Billboard Hot 100 for a month. They followed it with ‘We’ve Only Just Begun’, written by Paul Williams and Roger Nichols, which Richard had seen on a TV commercial for a bank. It made No.2 on the charts and was also the opening track from the album, Close To You, which also made No. 2 on the Billboard album chart. For a Christmas release they put out, ‘Merry Christmas Darling’, a song written by Richard and his University friend, Frank Pooler. It appears along with a host of other Carpenters Christmas themed recordings on The Carpenters: Christmas Collection. In 1972 A Song For You showed the consistency of their recordings, with not a bad track in earshot. The title song, another Leon Russell song, along with the beautiful, ‘Goodbye to Love’ – a Carpenter/Bettis original with an outstanding guitar solo by Tony Peluso, which British DJ legend John Peel declared to be one of his favourites – are standouts. It includes gems like ‘Road Ode’ and the Carpenter/Bettis original, ‘Crystal Lullaby’. ‘Road Ode’ in particular shows just what a fine vocalist Karen was; her ability to go from soft and sultry to hard edged is amazing. ‘Top of the World’ was originally intended as an album cut, but in December 1973 it became the band’s second Billboard No.1. Their 1973 release, Now & Then, includes the brilliant uber-medley, ‘Yesterday Once More’. It is a side-long tribute to American radio stations that played “oldies, but goodies.” The single became their biggest hit in the UK, reaching No.2 for two weeks. The following year their remake of Hank Williams’s ‘Jambalaya (On the Bayou)’ did well around the world. Two years later, their cover of The Marvelettes‘ Motown classic, ‘Please Mr. Postman’ made No.1 on the Billboard chart; it is on their album, Horizon. 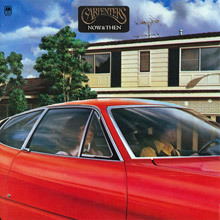 It also features ‘Only Yesterday’, a Bettis/Carpenter song that went Top 5 in the US and No.7 in the UK, along with covers of The Eagles’ ‘Desperado’ and Neil Sedaka’s ‘Solitaire’. A hidden gem? ‘I Can Dream Can’t I?’, a 1940s song that had been a big hit for The Andrews Sisters. In 1976 their follow-up, A Kind of Hush, was something of a disappointment, due in part to changing musical tastes on Top 40 radio. The biggest hit on the album is a cover of Herman’s Hermits’ ‘There’s a Kind of Hush’, which peaked at No. 12 on theBillboard Hot 100. The follow up was, ‘I Need to Be in Love’, which failed to make the Top 20, but it is a stellar song and vocal from Karen. 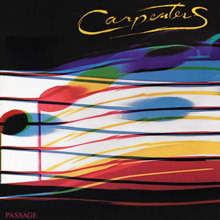 With the disco explosion dominating the airwaves the Carpenters came up with Passage, an album of varied musical styles, which includes a fantastic cover of Michael Franks’s, ‘B’wana She No Home’ along with an ambitious recording of ‘On the Balcony of the Casa Rosada/Don’t Cry for Me Argentina’ from Andrew Lloyd Webber and Tim Rice’s Evita. Perhaps most ambitious of all is their cover of Klaatu’s, ‘Calling Occupants of Interplanetary Craft’ – seven minutes of brilliance. 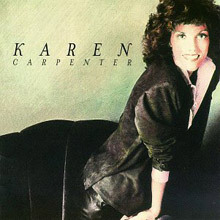 During a hiatus in the duo’s career in 1979 and 1980, Karen Carpenter recorded a solo album with Phil Ramone. It did not get released until 1996 but is very much up to the standard of all her records with her brother. It is a mix of ballads and up tempo numbers and includes the delicious, ‘Make Believe It’s The First Time’, as good a song about rekindling love as you’ll ever come across. There’s also Rob Mounsey’s lovely, ‘Guess I Just Lost My Head’ with Karen providing her own, perfect, backing vocals. 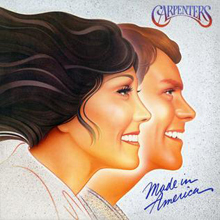 In 1981 the Carpenters released their final album as a duo recorded during Karen’s lifetime, Made In America. Since Karen’s passing, Richard has said it was both his and Karen’s favourite album that they made together. It includes their final top 20 single, ‘Touch Me When We’re Dancing’, which reached No. 16 on the Hot 100. Ironically it may be the weakest track on the album. Among the standout tracks are Burt Bacharach and Carole Bayer Sager’s, ‘Somebody’s Been Lyin’. After Karen’s tragic death Richard released the appropriately titled, Voice Of The Heart, which included recordings from Karen’s last few sessions. It too features ‘Make Believe It’s Your First Time’, Paul Williams’ ‘Ordinary Fool’ and closes with a Bettis/Carpenter song called, ‘Look To Your Dreams’ – couldn’t be more appropriate. In 1989 Richard decided to issue an album of unreleased studio recordings that he and Karen had worked on together as well as a smattering of tracks from her, as then, unreleased solo album. Lovelines is not as cohesive as earlier albums, for obvious reasons, but there are some fabulous tracks included on it; among them: ‘Where Do I Go from Here’, a song from a Barry Manilow album a decade earlier, the Nat King Cole classic, ‘When I Fall In Love’, which includes the original verse, ‘The Uninvited Guest’ and ‘Kiss Me the Way You Did Last Night’ – both outtakes from Made In America. Best track of all? ‘You’re The One’ – Karen is one of those singers that has the ability to send shivers, and she does on this. 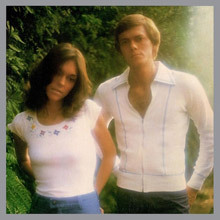 What made the Carpenters so great? It’s easy to say on one level; Karen’s voice really was from the heart, a heart that was broken several times, who, like Ella Fitzgerald, never really found the love she craved. But, just as important was the musicianship of Richard Carpenter who could sing, play, arrange, orchestrate and had the ability to take a song and turn it into a hit. 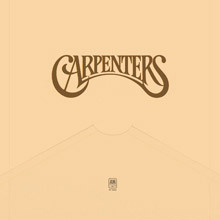 If you want to hear what made them so popular then check out, Carpenters: Singles 1969-1981, but we strongly advise that you give the albums a spin, they are full of great pop at its very best.